You don't even need to create anything yourself. Just go to the Fusioo App Marketplace and activate any of the available Apps. Fusioo will help you work at your own pace to build the workspace you need. The good news is that you do not have to start from scratch. The Fusioo App Marketplace is constantly being upgraded by business process specialists that understand the way you work. They are setting up the Apps you need so that you do not have to worry about building them yourself. Get started in minutes. Need to set up your workspace for Customer Relationship Management (CRM) or Project Management? 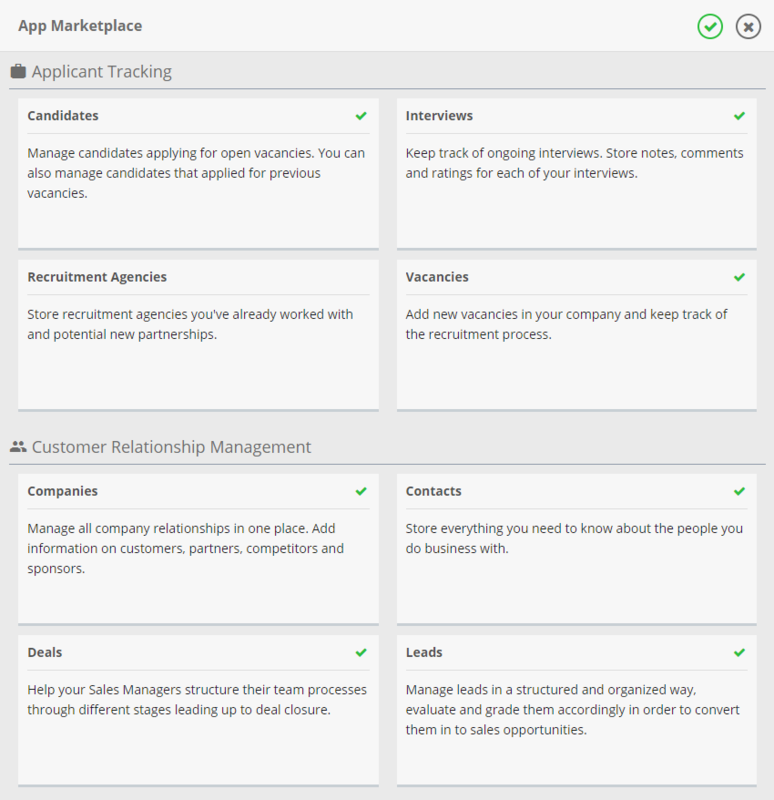 Want to track job applicants and project issues? The Fusioo App Marketplace will help you get started in no time. Learn by example. The marketplace App Bundles will help you harness Fusioo's powerful customization techniques. Start tweaking the activated App Bundles and learn how to add new Fields, modify existing Fields and set up custom Dashboards. Activate the App Bundles you need. To get started you will need to activate the required App Bundles from the Fusioo App Marketplace. 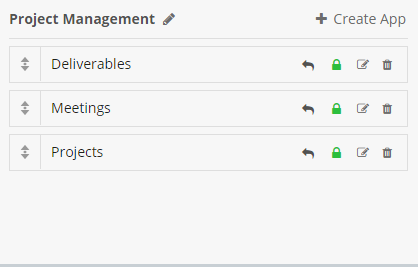 Once you are done activating your new bundles, you can find those bundles in your Fusioo Workspace. You can either modify your App Bundles or modify the Apps that make up your bundle. Modify Apps. Once you have activated your App Bundles, you can start modifying Apps within that bundle. The best way to figure out what you need is to set up your team to start using your Apps and make incremental changes as you go along.